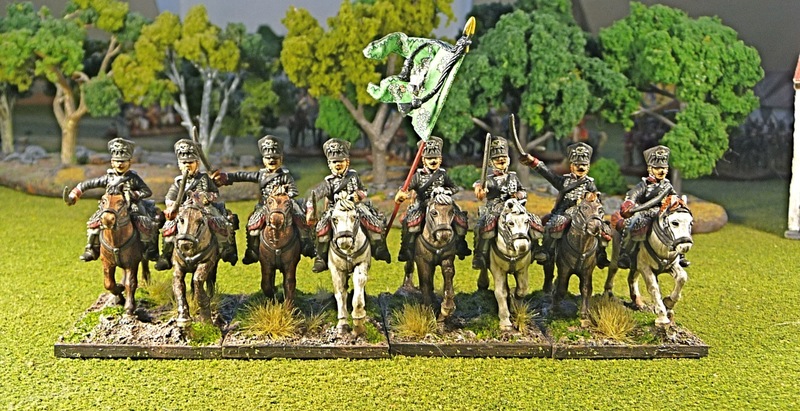 I have had these figures for a while and I was unsure whether I was going to paint them or not, as they are not in the Prussian OB for the Waterloo campaign. I then found out that 2-3 squadrons of the Prussian 1st Lieb Hussars were actually seconded to the I Corps. That was enough, I had also told myself that I have to push on with the Calpe figures I have on hand so here we are. I liked painting these figures, as I like painting lace, but I do dislike painting black leather, it was easy enough on the figures, but I had a tough time getting it right on the saddle rolls behind the rider. I actually started with a white primer and then use GW Baobab Black Wash on the coats, it worked well with a dry brush of the GW Foundation Granite. 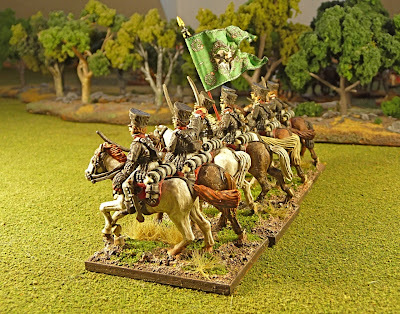 The flag is for the SYW and is the standard of the 1st Hussars, it is from Flagdude. I converted one of the troopers. After a lot of thought I have decided to paint squadrons of cavalry rather then regiments. 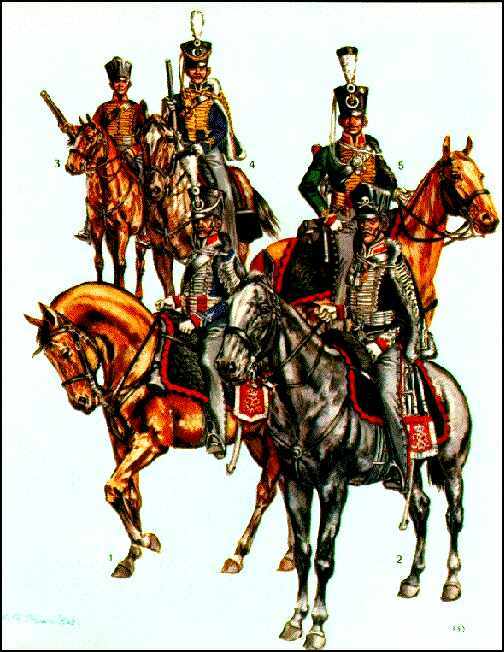 It just seemed that cavalry regiments varied greatly in size and that squadrons would be a more accurate way to reflect historical OB's. It also generally fit with my 1:25-30 figure to man ratio I have been using with my infantry battalions. So this unit represents 2 squadrons of Prussian Hussars. Very nice! I also think squadrons are the way to go, as regiments might only field 2-3 out of 4 in a battle. I agre... better squeadrons than regiments. Amazing painting as always! Really nice painting. 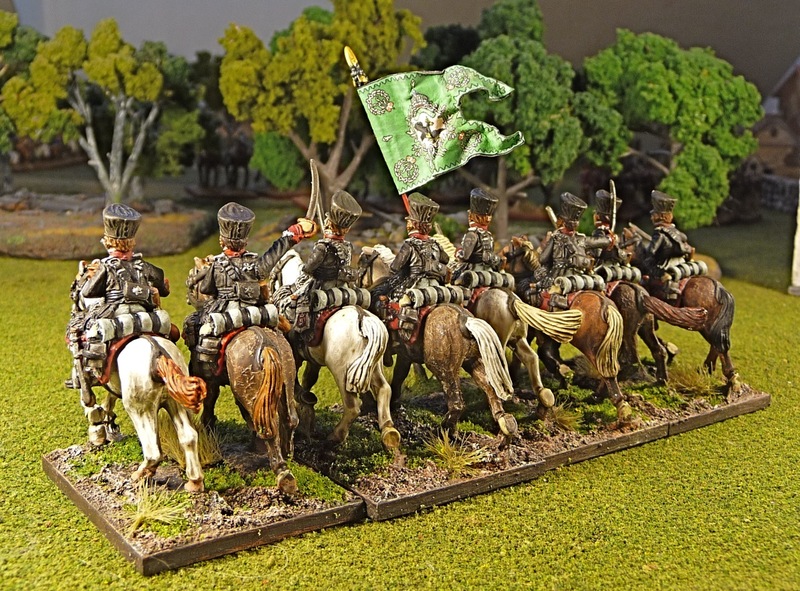 I don't own any Prussians but you make them look very tempting. Great blog too. Great painting as usual. Well done also for the pictures! Very nicely painted, they look exceptional, I like the idea of painting them up in squadrons, it does make more sense. Good timing. 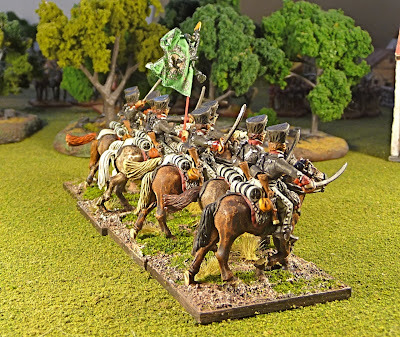 I just started painting a unit for use with Black Powder. Beautiful work.